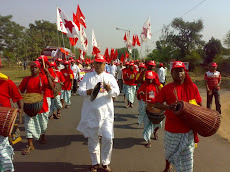 Agartala, 30 June : Tripura's ruling CPI(M)-led Left Front will not join a nationwide shutdown 5 July as it has already protested against the fuel price hike through a 12-hour strike 28 June, a front statement said Wednesday. 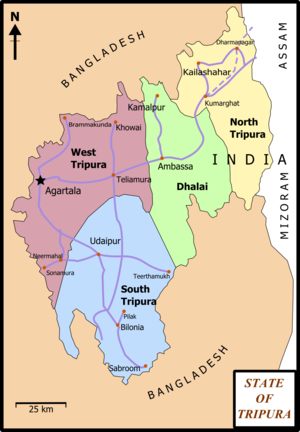 However, Bharatiya Janata Party (BJP) would observe a shutdown in Tripura 5 July as part of its all-India programme. 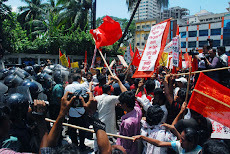 A countrywide shutdown has been called 5 July by several parties - including the CPI(M), the CPI, the Revolutionary Socialist Party and the Forward Bloc - against the rising prices of essentials and the central government's recent decision to hike fuel prices. 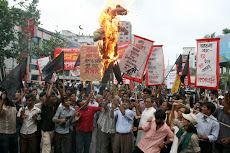 IANS, Kolkata, 30 June : Normal life was partially affected in Maoist pockets of three West Bengal districts on the first day of a two-day shutdown called by Maoists in five states to protest against the central government’s disinvestment policy. 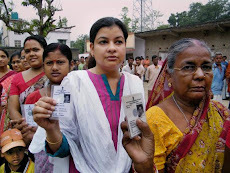 “The impact has been only partial in West Midnapore, Bankura and Purulia districts. Some tribal areas are hit, with shops and markets closed and vehicles staying off the roads,” Inspector General of Police (Western Range) Zulfiqar Hassan told IANS. 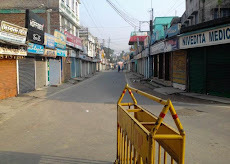 West Midnapore’s Jhargram sub-division, which has now emerged as the epicentre of Maoists activities in the district, saw a near-total shutdown. 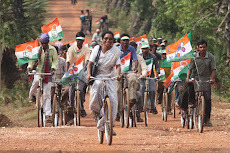 Normal life was paralysed and streets wore a deserted look in most areas of Jhargram. 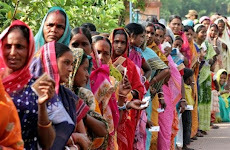 In Bankura, the Khatra sub-division in the southern part of the district felt the impact of the shutdown. 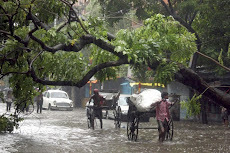 “Vehicle movement has been affected and the streets are deserted in some of the areas,” said Bankura Superintendent of Police Vishal Garg. 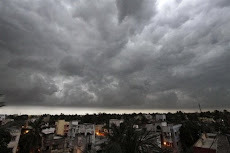 In Purulia, public transport vehicles were plying, but private buses, cars and trucks remained off the roads, said district Superintendent of Police Rajesh Yadav. 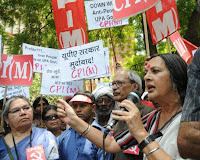 This is the second two-day strike called by the Communist Party of India-Maoist in June. 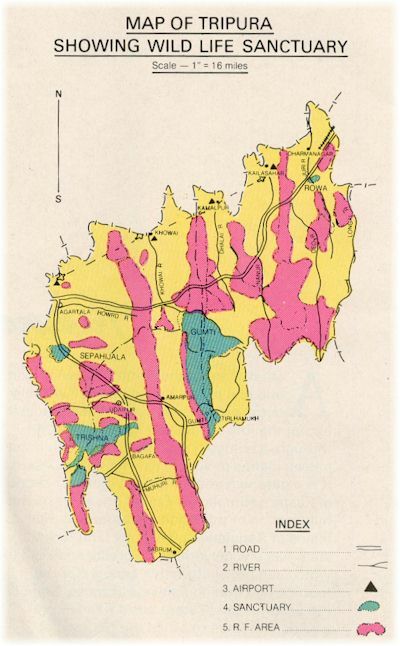 Apart from West Bengal, it covers Jharkhand, Bihar, Orissa and Chhattisgarh. Dhaka, 30 June : Bangladesh parliament passed the budget for the next fiscal on Wednesday in absence of the main opposition BNP. 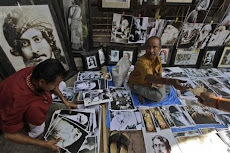 The process started with ratifying the demand resolution, the first step for the passage. The parliament has ratified resolution of 53 demands but heard only a few of the around 1,000 cut motions of the demands as one but all the MPs, who were supposed to table those motions, was absent. 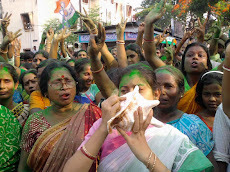 Bolpur, Kolkata, 30 June : In an escalation of political violence in West Bengal, former CPI(M) lawmaker Ananda Das was Tuesday shot dead by assailants allegedly close to the Trinamool Congress, hours after a Trinamool worker was killed in Birbhum district, police said. Das, a four-time legislator from Nanur, was dragged from his house by the assailants who shot him several times, said Birbhum Superintendent of Police Rabindranath Mukherjee. Das was rushed to hospital where he was pronounced dead. 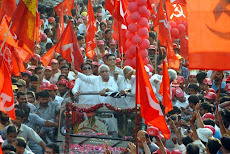 'We have received allegations from the CPI(M) that the miscreants were close to the Trinamool Congress,' Mukherjee said. Trouble sparked off at Nanur, under Bolpur sub-division, after a Trinamool worker Sk. Phulu was fatally shot in the afternoon, and the party blamed the CPI(M) for the murder. 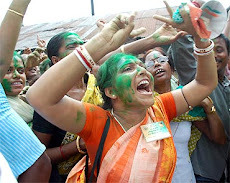 A little later, a large number of armed Trinamool workers gathered in the area, and ransacked a transport workers' office of the CPI(M)'s labour arm Centre of Indian Trade Unions (CITU), a police official said. 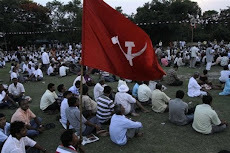 The mob then attacked the CPI(M)'s Nanur Zonal Committee office, beating up some of the leaders. 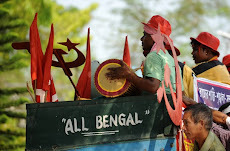 Condemning what he called 'a dastardly and planned attack and murder', CPI(M) state secretary Biman Bose alleged that Trinamool Congress was committing atrocities in the area for 'quite some time'. 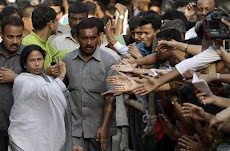 'It is a part of the Trinamool's efforts to create an atmosphere of anarchy and terror in various parts of the state to destroy democracy,' he said. 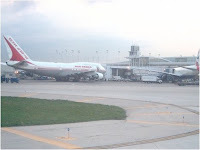 Agartala, 30 June : The Tripura assembly has unanimously supported a proposal to rename Agartala airport as Kabiguru Rabindranath Tagore airport. 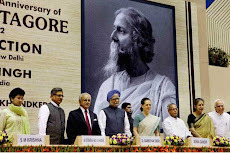 Congress legislator Sudip Roy Burman yesterday proposed that the airport be renamed as Kabiguru Rabindranath Tagore airport as part of the celebration of the 150th birth anniversary of the Nobel laureate. 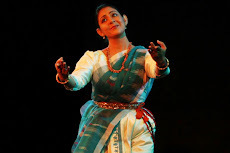 "Rabindranath Tagore visited Tripura seven times between 1899 and 1926 and his relation with Tripura was intimate, so we can send a formal proposal to the Civil Aviation ministry in this regard," Chief Minister Manik Sarkar told the House in response to the proposal. The House decided to pass a formal proposal and send it to the Ministry within this session. The Agartala airport, 15 km from here, is connected to Kolkata, Guwahati and Delhi. Dhaka, 30 June : Bangladesh will get access to its oil and gas resources in the Bay of Bengal in four years, foreign minister Dr Dipu Moni told the parliament Wednesday. 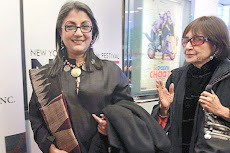 She said the conflict over territorial waters with India and Myanmar that threatens the rights to exploration would be resolved either by bilateral negotiations or through arbitration. "We have taken the maritime talks, undertaken by caretaker government, forward and achieved progress in this regard," Moni told the parliament in response to independent MP Fazlul Azim's question on her ministry's initiatives on resolving the sea boundary delimitation. The minister said the Awami League government moved for arbitration process for settling the maritime disputes with India and Myanmar. 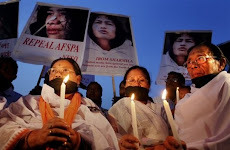 Kolkata, 30 June : Bapi Mahato, the alleged mastermind of the Sardiha railway sabotage, gave his confessional statement in front of a magistrate at the 12th metropolitan magistrate court in Kolkata on Tuesday. 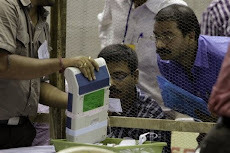 "Bapi has recorded an 11-page secret statement before the magistrate," said Partha Tapaswi, deputy legal adviser, CBI. Sources said Bapi looked normal when taken to Bankshall court from the Presidency correctional home on Tuesday morning. 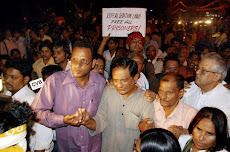 CBI officers were worried that Bapi might change his mind in jail and refuse to confess in front of the magistrate. But nothing unusual happen and Bapi agreed to record his statement. 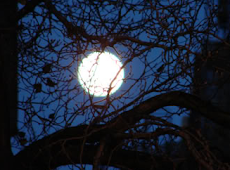 In the evening, Bapi was taken back to the same correctional home. 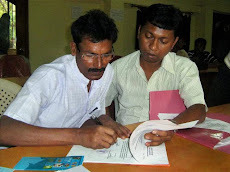 "The court has ordered us to produce him before the Jhargram court on or before 1 June," said Tapaswi. According to the law, CBI will not be able to keep him in custody and Bapi will be in judicial remand till the end of the case. 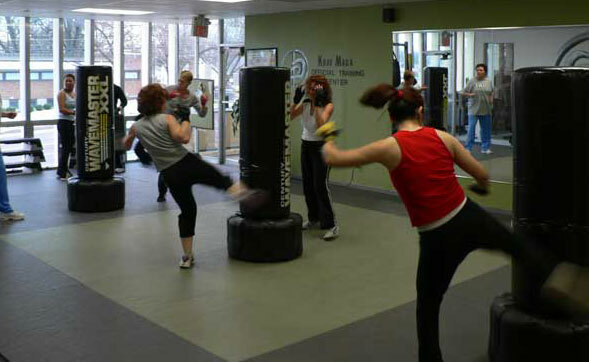 ANI, Siliguri, 30 June : The West Bengal Kickboxing Association is promoting kickboxing, one of the most popular forms of martial arts, among teenagers, to train them for competing on the international level. The association is also organizing a kickboxing championship in Siliguri. “From Darjeeling to Midnapore, everywhere the game is developing at a rapid pace with players of boxing, taekwondo, and karate are coming into kickboxing because it is one of the very popular combative martial arts form,” said Montu Das, Secretary General of West Bengal Kickboxing Association. According to Das, participation at the international level will boost the talent of youngsters. 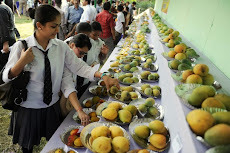 Meanwhile, students participating in the championship said that it would help them enhance their skills. 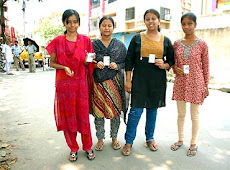 “It is great that the Commonwealth Games are coming up and we can hope that some of the participants from here can perform over there and bring some medals to make Bengal proud and the West Bengal government is supporting us by organising such competitions,” said Raman Aggarwal, a participant. Kolkata, 29 June : In a bid to identify illegal poppy cultivation in West Bengal, the Narcotics Control Bureau (NCB) has resorted to the use of satellite imagery. 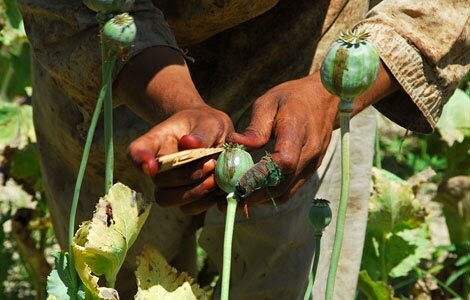 Nearly 2,100 acre of illegal poppy cultivation has been destroyed by the new system in Birbhum, Malda, Murshidabad and Nadia districts. 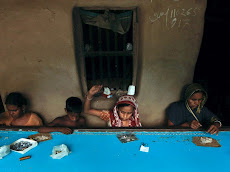 Opium extracted from the cultivation is converted to crude heroin in Murshidabad district, said an NCB official, adding that there has been a rise in the trafficking of the contraband from areas like Bongaon in North 24 Parganas, besides Lalgola and Plassey. Kolkata, Asansol and Raniganj comprise the major drug consuming areas in the state, added the official. NCB Zonal Director K Shankar also said a narcotics scanner would be set up at Netaji Subhas Chandra Bose International Airport to curb drug smuggling. 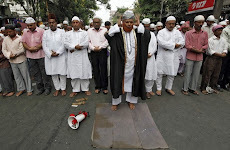 Dhaka, 29 June : Jamaat-e-Islami ameer Motiur Rahman Nizami and secretary general Ali Ahsan Mohammad Mujahid were arrested Tuesday afternoon, hours after a magistrate court here issued warrants of arrest in connection with a criminal case over hurting religious sentiment of Muslims. Police sources said Nizami was arrested from in front of National Press Club while Mujahid was detained from Savar. Police arrested Nizami as he came out of the Press Club after attending a programme. 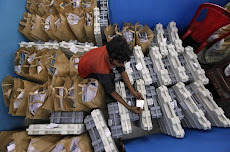 Kolkata, 29 June : A man from Nadia district has made it to the Guinness Book of World Records by using maximum number of stamps on a parcel. According to the write-up, Guinness authorities confirmed the feat of Manoj Kumar Mondal, who had sent a parcel to their office in London using 3809 Indian postal stamps. One stamp was of the denomination of 10 paise, 86 stamps were of 15 paise, 3649 stamps of 25 paise and 73 of Rs 10. Earlier this month, he got a letter from the Guinness authorities saying that he has broken the record of Les Stewart, an Australian, who had used 3400 stamps in his parcel in 1999. 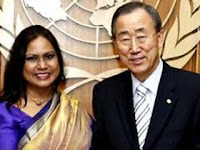 Dhaka, 29 June : A Bangladesh Representative was elected to a body of United Nations in an elections held at the United Nations in New York on Monday. 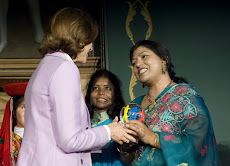 Ismat Jahan, the Bangladesh candidate for the 'Committee on the Elimination of Discrimination Against Women' (CEDAW) secured the highest votes in elections held at the United Nations. Ismat, a former Permanent Representative to the UN and currently Bangladesh Ambassador in Brussels, got 153 votes in the 185 member treaty body, said a message received here on Tuesday. This is the highest number of votes secured by a candidate in the history of CEDAW elections. She will serve as a member of the committee for 4-year terms 2011-2014. 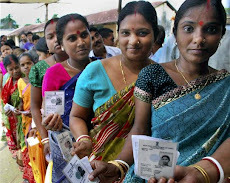 The credentials of the candidate, Bangladesh's commitment to women's empowerment, an effective and sustained election campaign and Bangladesh's standing as an active, responsible and contributing member of the international community are among factors credited for this impressive showing. Bangladesh is currently elected member of 32 UN Committees/Commissions/bodies/caucuses, which is the highest in recorded history. Guwahati, 29 June : A 24-hours motor transport strike in Assam against the hike in fuel prices Tuesday evoked a mixed response, with most public transport going off the roads. 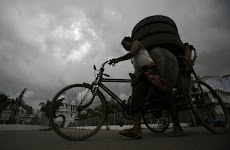 The strike, which began at 6 am, was called by the Assam chapter of the All India Road Transport Workers Federation. The Federation appealed to all motorists to keep off the roads. Most public transport operators decided to support the strike. A majority of the private vehicles plied as usual. “Barring few stray incidents of stone pelting by strike supporters, there has been no major incident of violence,” a police official said. 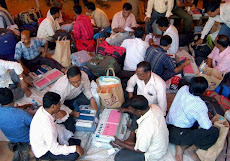 A number of trade unions, including the Assam unit of the Centre of Indian Trade Unions, supported the strike. 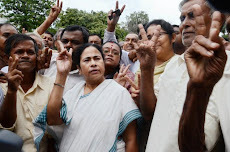 Kolkata, 29 June : West Bengal government said it would raise its own industrial security force to provide protection against the Maoist menace and other threats. 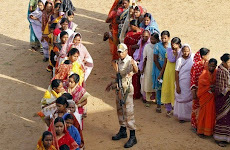 Inspector General of Police (Law and Order) Surajit Kar Purakayastha said a battalion of the force, headed by a commandant would be raised. 'It will be modelled after the Central Industrial Security Force. It will help the government ensure better protection to the power plants and other industrials units,' Purakayastha said after a meeting of the security advisory committee for power plants here. The government has already beefed up security at the Santaldihi thermal power plant in Bankura district and the Purulia storage power projects. 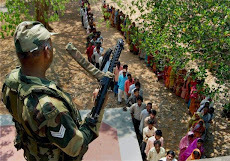 Maoists are active in both Purulia and Bankura districts. 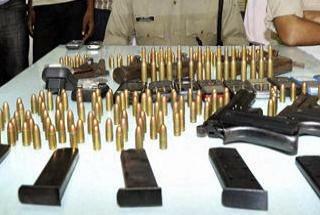 PTI, Kolkata, 29 June : Over 5,000 rounds of .315 cartridges, possibly meant for the Maoists, were found in a car after it was intercepted by police for violating traffic rules near Shovabazar Metro Railway station here. A traffic sergeant on a motorcycle stopped the car bearing a Bihar registration number yesterday at Jatindra Mohan Avenue for jumping a red light and asked for the papers, police said today. When one of the occupants of the car alighted, the driver sped off with the traffic sergeant chasing it, police said, adding the man who had got down fled from the spot. The sergeant caught up with the car and managed to stop it, as two others in it fled, the sources said. UNB, Brahmanbaria, 29 June : Export and import activities between Bangladesh and India through the Akhaura land port remained suspended on Tuesday due to daylong work stoppage by Indian workers. Port and C & F Association sources said trade through the port was suspended from 8am as the workers of Agartala port in Tripura abstained from their works to press home their different demands, including wage hike. 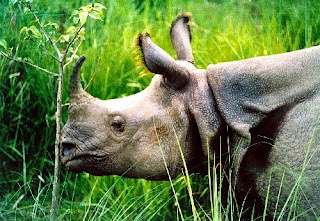 PTI, Agartala, 29 June : The one-horned male rhino ambling its way through the greens of Sipahejala Zoo in Tripura will at last get a female company, courtesy an animal exchange programme sanctioned by the Central Zoo Authority. A female one-horned rhino would be brought from the Sanjay Gandhi Botanical and Zoological Garden in Patna under the programme to give company to Pradip, the male rhino, who had never seen a female of the species ever since it was brought to the zoo in 1994. Ajit Bhowmik, the director of the zoo, said, "We desperately needed a female one-horned rhino to engage in mating with Pradip, the lone one-horned male rhino". 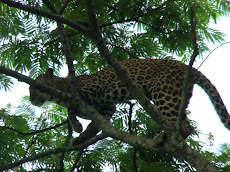 The exchange programme aims at increasing the count of rapidly disappearing species of clouded leopards, pigtailed macaques and spectacled langoors in the Sipahejala Zoo, housed in the Sipahejala sanctuary, he said. The Central Zoo Authority under the Environment and Forests Ministry had given permission to go ahead with the exchange programme, he said. The one-horned rhino is mainly found at Kaziranga in Assam, Nepal and parts of South Africa. "We also demanded a Hippopotamus from the zoo in Patna and drew attention of the CZA, but the project is yet to be cleared," he said. Sipahejala sanctuary, situated about 20 km from state's capital Agartala, is a hot spot of bio-diversity which came into existence in 1972. ANI, Jhargram, 27 June : Residents of various villages in West Midnapore district accused the security forces of torturing innocent people. 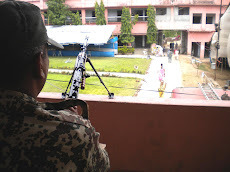 The Government deployed forces in the West Midnapore District as part of ongoing anti Maoists operations. 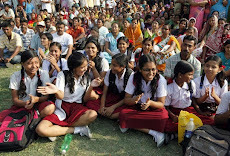 The villagers also mentioned that the police personnel have not spared even young school going students. Speaking to the media persons in one of the village hospitals, a young injured student recalled the atrocities by the personnel in course of their routine patrolling of the area. "Today joint force saw red pen colour in my hand and they claimed that I wrote poster for the Maoists for payment. After that they continued to torture me from six in the morning till 10 in the night. Two of them stood over my chest and ultimately I had to push them away from me. 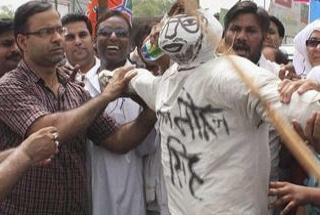 Then five CRPF Jawans came and tortured me lashing with stick and belt," said Manoranjan Manna, an injured student. 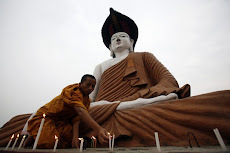 According to the villagers, there are over 600 personnel patrolling and during that they randomly pick up students and other naove villagers and torture them. Several students have been injured in their chest and on the face and back. 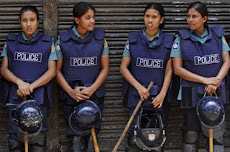 AFP, Dhaka, 27 June : Security forces in Bangladesh arrested more than 200 people Sunday as the first nationwide general strike since elections in 2008 was marred by violence, police said. In the capital Dhaka, security forces fired tear gas and used batons to disperse hundreds of opposition activists as they tried to hold marches along major roads, police said. 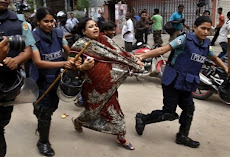 An opposition Bangladesh Nationalist Party (BNP) lawmaker was hurt when supporters and opponents of the strike clashed at Dhaka University, police spokesman Walid Hossain said, adding the man was rushed to hospital and later arrested. 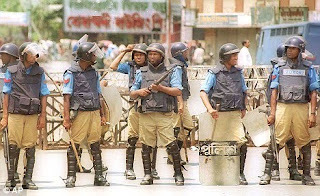 At least 12,000 policemen and the elite Rapid Action Battalion were deployed in Dhaka to try to avert violence as the shutdown brought much of the capital of 13 million people and the country to a standstill. 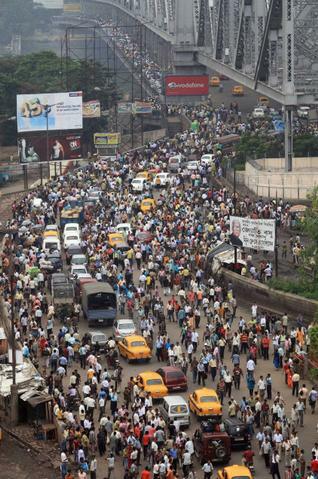 Police said the strike had halted transport throughout the country and disrupted business operations. 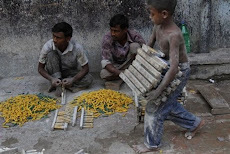 In Dhaka, most private offices, shops, schools and colleges were closed. The BNP had called the strike to protest against what it says is the Awami League government's failure to provide basic services such as power, water and gas and against "arbitrary" arrests and harassment of opposition supporters. Burdwan, 27 June : A constable of Howrah district police was today detained from Burdwan for allegedly supplying arms to the Maoists. Bimal Mishra, the constable, was arrested from a lodge near Tinkonia bus stand in the heart of Burdwan town this evening, Additional Superintendent of Police Sabyasachi Raman Mishra said. 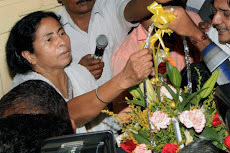 The lodge was raided by a police team led by Burdwan district Superintendent of Police R Rajsekharan. The constable was being interrogated, the additional SP said. 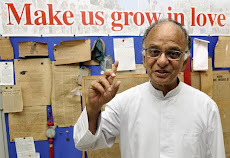 PTI, New Delhi, 27 June : With just a year to go for the Assembly polls, senior leader and Finance Minister Pranab Mukherjee has quit as West Bengal Congress president and CLP leader Manas Ranjan Bhunia has been appointed to the post. 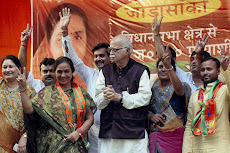 Bhunia, a close associate of the Finance Minister, is presently leader of Congress Legislature Party in the state. 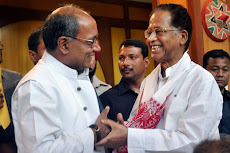 Mukherjee, who was appointed as WBPCC chief in 2001, has been for quite sometime impressing upon the leadership to have a "full-time" president in view of the assembly polls. Kolkata, 27 June : The suspect ship M V Aegean Glory laden with explosives, that was bound for Pakistan, has been brought to the Kolkata port from Diamond harbor today. 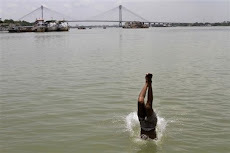 Kolkata Police had halted the Pakistan-bound ship off the coast of Kolkata yesterday. The ship was carrying a consignment of arms and ammunition and had not declared the goods on board; 19 sailors have been detained. The Karachi-bound cargo vessel from Bangladesh carrying military hardware and explosives was kept cordoned off on Saturday at Diamond Harbour in South 24 Parganas district. The captain of the ship was disembarked and questioned by the police. 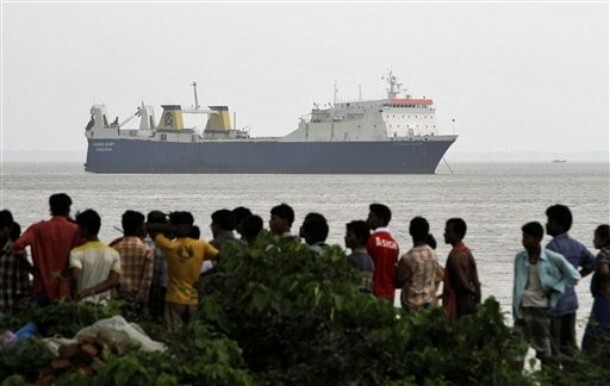 West Bengal Director General of Police Bhupinder Singh had described the incident as "alarming" and said it was surprising why the Pakistani-bound vessel was passing through Indian waters. 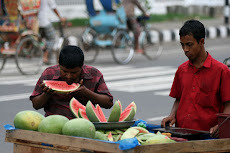 Dhaka, 27 June : Bangladesh parliament Sunday passed a law for the protection of potential tourists spot in Bangladesh. The tourism bill, proposed by tourism minister G M Quader, was passed by voice vote in absence of the main opposition BNP. The parliament rejected amendment proposals from the opposition MPs due to their absence. The government on 22 June tabled the Special and Reserved Tourism Zone Bill 2010, which was later okayed by the parliamentary standing committee on civil aviation and tourism ministry. The law will authorise the government to identify potential tourist attractions and protect them, if necessary. 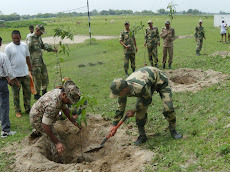 Kolkata, 27 June : A joint forces trooper and a Maoist fighter were killed in a shootout near Jhargram in West Midnapore district early Sunday, police said. 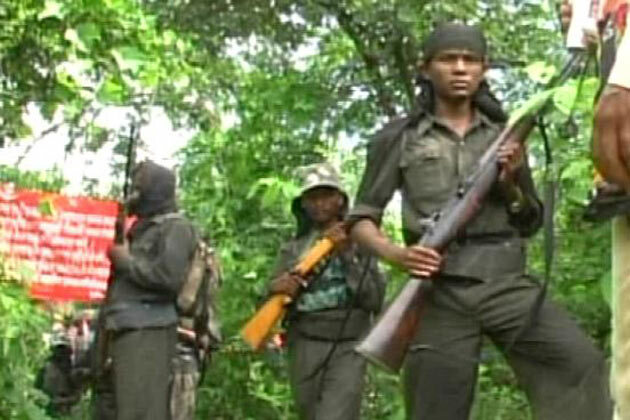 The body of the unidentified Maoist was recovered after the fierce clash that took place around 3.30am in Ghrita village under Jhargram sub-division, a police officer said. Police claimed two more Maoists could have been killed, but their bodies were yet to be recovered. The slain trooper was identified as Ektadul Islam (26), attached to the fourth battalion of the Specially Trained Armed Company (Straco) raised to combat insurgency and terrorism. 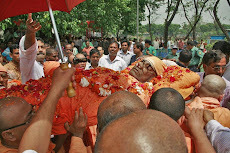 He was a resident of Manikchak in Malda district. 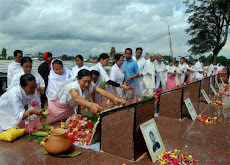 IANS, Shillong, 27 June : Former Indian Lok Sabha Speaker Purno A. Sangma Sunday said India should support Bangladesh in its effort to try all those accused of committing atrocities during the 1971 liberation war. “Bangladesh has started their trial of war criminals and we (India) should extend all support to them in their effort to investigate and prosecute crimes against humanity during the 1971 liberation war against Pakistan,” Sangma told IANS. 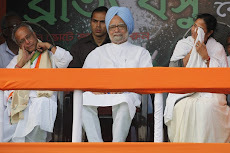 Sangma said that he would also meet Prime Minister Manmohan Singh and urge him to extend support to Bangladesh. “Such a trial will discourage the culture of impunity and prevent recurrence of genocides and war crimes,” the veteran political leader added. Sangma, who led an Indian-delegation to Dhaka, attended an international seminar on war crimes trials. The seminar was attended by 45 delegates from the US, Britain, Russia, Pakistan, the Netherlands, Nepal and Iran, among others. 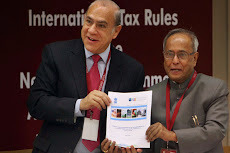 Financial Express, Dhaka, 27 June : Bangladesh government has sealed a US$129 million soft credit from Islamic Development Bank to build the country's first offshore floating platform aimed at saving billions of taka it spends in unloading oil in deep sea. 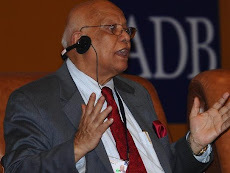 Finance Minister AMA Muhith signed the deal with the Jeddah-based development lender, paving the way for building a 'Single Point Mooring' in the Bay of Bengal, he said. "The pipeline from the floating platform will save both time and money," Muhith told the FE after returning to the capital from central Asian country of Azerbaijan where the IDB held its annual meeting. 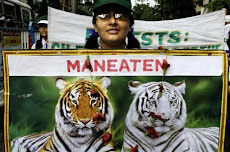 Canning, 27 June : A fisherman was killed by a tiger while another tigress was captured after it strayed into the Sajnekhali office campus of Sunderban Tiger Reserve. 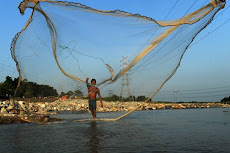 About 10 fishermen had ventured from Basanti area into the Sunderban jungles ten days ago. They entered the Tiger Reserve's Core Area when one of the fisherman Dilip Baidya was attacked by a tiger yesterday. The tiger was chased away by other fishermen but Baidya succumbed to his injuries. In a separate incident, a tigress entered the Sajnekhali Tiger Campus last evening and forest department personnel burst crackers and opened a fence gate to enable the tiger to go back to the forest, officials said. The animal was again spotted today in the campus causing a flutter. The tigress was tranquilised and then put in a cage, the sources said. UNB, Benapole, 27 June : Export and import activities through Benapole land port, which remained suspended on Saturday due to strike in West Bengal, resumed this morning. 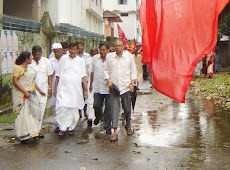 A CPM backed labour organization CITU called the daylong strike protesting rise in fuel prices. 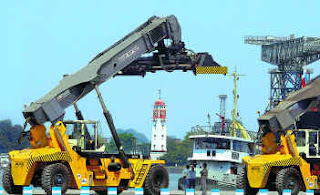 Bebasish Kunda, Customs Cargo Inspector of Benapole port, said that export and import activities between two countries resumed through the port today after a daylong suspension. Many goods-laden trucks, however, got stranded at the land ports of two countries due to suspension of export and import activities on Saturday. UNB, London, 27 June : Bangladesh President Zillur Rahman has urged the expatriate Bangladeshis to work with the spirit of patriotism for building a prosperous and happy Bangladesh. The President gave the call at a reception given in his honour by the expatriate Bangladeshis at Kensington Town Hall on Saturday evening. Foreign Minister Dr Dipu Moni, President’s son Najmul Hasan MP and Sheikh Rehana also spoke at the programme, chaired by veteran journalist Abdul Gaffar Chowdhury. 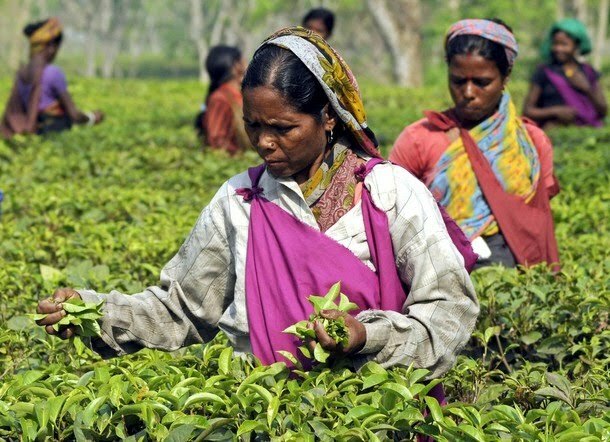 Agartala, 27 June : The Tripura government said that their tea industry has received a boost with an increase in tea prices in the auction markets of Guwahati and Kolkata. "Tripura tea is earning Rs 137 per kg in tea auction market in Guwahati and Kolkata since 2005 which is an all time record and as a result of which the tea industry is changing its face. 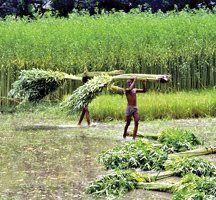 The industry is getting modernised and gardens are being nurtured properly," state Industries and Commerce Minister Jiten Chowdhury told Bengal Newz. There are 55 tea gardens in the state of which 41 are run by private owners, 11 are run by cooperatives and three gardens were undertaken by the state government, he said. 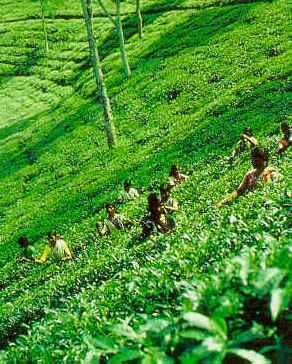 There are 4346 small tea growers in the state who grow in small holdings but sell their products through cooperatives. 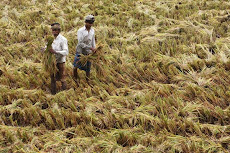 They cover an area of 3406 acres of land and produce 37 lakhs kg on an average and earn about Rs 4 crores per annum. To encourage small tea growers, the government has provided them with carriage vans, irrigation facilities, tractors and weight measuring machines, the minister said. For upgradation of the standard of life of tea garden workers across the state, the government has arranged the supply of pure drinking water facilities, primary school, community centers, Chowdhury said. 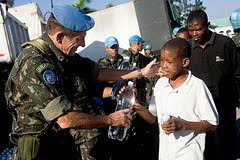 Kolkata, Diamond Harbour, 26 June : The Karachi-bound ship intercepted in Diamond Harbour Friday was carrying arms and ammunition used by troops of different nations that had participated in the UN peacekeeping mission in Liberia, a top police officer said Saturday. The union home ministry has asked the security agencies to bring the Liberia-registered ‘Aegean Glory’ to the Kolkata dock for a thorough investigation. 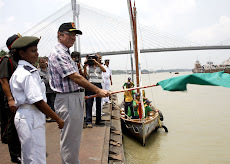 The ship is likely to reach there Sunday noon, West Bengal Director General of Police (DGP) Bhupinder Singh said. ‘It was found that the ship was carrying explosives of a few nations that participated in the UN Mission in Liberia (UNMIL),’ he said. 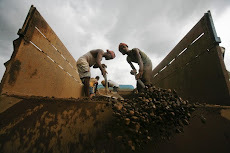 The ship was slated to unload the military cargo at different ports to return the weapons of the nations that participated in UNMIL that began in 2003 to contain the conflict arising out of the second Liberian civil war. The vessel loaded the military cargo at Monrovia port in Liberia, started its journey 17 May and sailed to Port Louis in Mauritius on 4 June. Kolkata, 26 June : Normal life was badly hit in West Bengal as buses, taxis and autorickshaws went off the roads Saturday in response to a public transport strike called by the Centre of Indian Trade Unions (CITU) against the fuel price hike. Despite being a holiday for government employees, commuters were inconvenienced as a handful of taxis and autorickshaws that plied made a killing by charging exorbitant fares. Ferry services on various rivers across the state also did not operate. The strike was called by CITU, the labour arm of the ruling CPI(M), hours after the central government Friday ended government curbs on petroleum pricing and hiked the prices of diesel, kerosene and cooking gas. The price of diesel went up by Rs.2 a litre, kerosene by Rs.3 a litre and cooking gas by Rs.35 per cylinder. 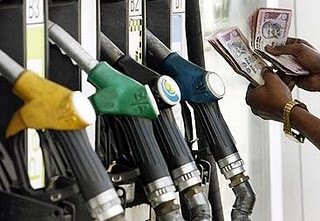 The prices of petrol will now be costlier by about Rs 3.50 per litre. Desperate commuters got onto trucks to reach their destinations while cycle rickshaws and the city’s runner-pulled rickshaws provided relief to many while charging them more money. 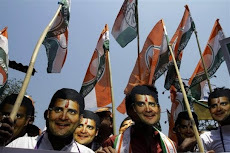 Though flights and train services were kept outside the purview of the protest, people had trouble getting transport to reach their destinations from the Netaji Subhas Chandra Bose airport or railway stations. Car owners were lucky as vehicles meant for private use were exempted from the strike. Metro Railway services, also in the exempted category, also functioned normally. 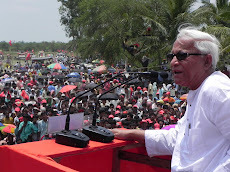 Agartala, 26 June : CPI(M)-led ruling Left Front in Tripura Saturday called for a 12-hour shutdown in the state Monday to protest against the hike in fuel prices. Kolkata, 26 June : A special express train will be launched just after the October Commonwealth Games to promote information technology (IT) across the India. The train, named Technology Express will be launched from Kharagpur after the Commonwealth Games to raise awareness about information technology in remote areas and small towns, source says. The help of Kharagpur's Indian Institutes of Technology will also be taken for the purpose. 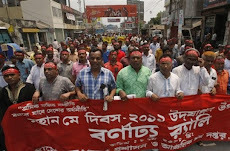 IANS, Dhaka, 26 June : Deals signed with India by Bangladesh Prime Minister Sheikh Hasina are high on the agenda of the day-long nationwide protests that main opposition Bangladesh Nationalist Party (BNP) has called for Sunday. 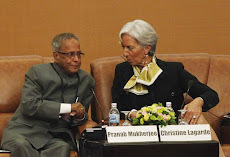 Hasina, during her visit to India in January early this year, signed agreements that envisage exchange of criminals, fight against terrorism, and better trade ties besides a host of economic and security issues. BNP Chairperson and Opposition leader Khaleda Zia announced the general strike at a grand rally in Dhaka 19 May, protesting against a number of issues against the government of her political rival, Sheikh Hasina. These also include the recently-signed treaties with India. Dhaka Metropolitan Police Commissioner A.K.M. Shahidul Haque Friday said the police would not prevent the BNP from observing its dawn-to-dusk stir. But it will take stern action against the protesters if they try to create anarchy by vandalising vehicles or setting them on fire. The official said additional 10,000 police forces will be deployed at 4.00 am(BDST) on the day of the stir to maintain law and order. 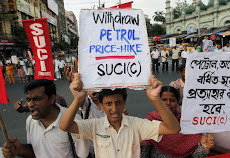 Agencies, New Delhi, Kolkata, 25 June : India government has decided to raise petrol and diesel prices, oil minister Murli Deora said on Friday, as part of a plan to move towards a market-determined fuel price regime. While petrol prices go up by Rs 3.73 per litre, diesel has been hiked by Rs 2 per litre. LPG also goes up by Rs 35 per cylinder. Kerosene prices, however, will not be market-driven, say sources. 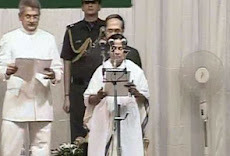 The decision follows a ministerial panel meeting on freeing up petrol prices and cutting subsidies on diesel, kerosene and cooking gas, to help rein in the 'fiscal deficit', which is projected at 5.5 percent of the gross domestic product in 2010/11 and free up revenues for other programmes. Oil minister Murli Deora said, "the move will help boost profits of state-run oil firms that have been losing revenue from government-set lower prices." 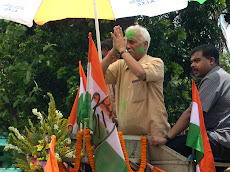 In Kolkata, CITU state president Shyamal Chakraborty, described Trinamool Congress chief and Railway Minister Mamata Banerjee's opposition to the price hike as a 'political bluff'. "To bluff the people in the state, she has not attended the meeting of the Empowered Group of Ministers, which took the decision. 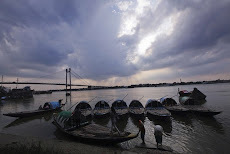 IANS, Kolkata, 25 June : A Karachi-bound explosive-laden vessel from the Chittagong port was intercepted by the security agencies on the Hooghly river channel at Diamond Harbour on Friday evening, officials said. The vessel - 'Agean Glory' and registered in St. Vincent, Liberia - did not have the necessary clearances for carrying explosives, Central Industrial Security Force (CISF) sources said. "When we checked the papers, we found the vessel had not provided the mandatory declarations for carrying explosives to the Kolkata Port Trust (KoPT) and Customs officials," Coast Guard Commandant (West Bengal) Murugan told IANS. State Director General of Police Bhupinder Singh said the intercepted vessel was carrying 551 metric tonnes of military cargo. "The consignment was meant for a major-ranked defence personnel in Karachi. Investigation is on to ascertain where from the explosives were loaded." 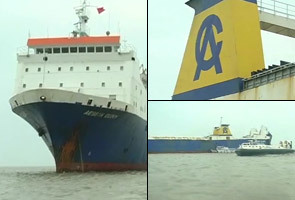 The Coast Guard, Navy, customs and the CISF personnel were aboard the vessel interrogating the crew. 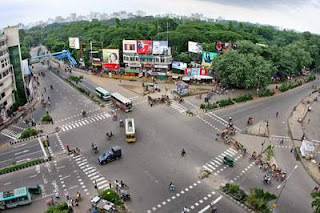 Kolkata, 25 June : The CITU has called a 24-hour transport strike in West Bengal tomorrow to protest against the Centre's decision to hike the prices of petrol, diesel, kerosene and cooking gas. "All transport, including goods and passenger vehicles, will go on strike state-wide tomorrow in protest against the Centre's decision to increase the prices of petroleum products," CITU state president Shyamal Chakraborty told reporters here. He said that trains will run and essential services will be kept outside the purview of the strike. 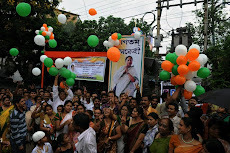 IANS, New Delhi, 25 June : Indian Railway Minister Mamata Banerjee Friday said she was not "happy" with the fuel price hike as it puts pressure on the common man, but her Trinamool Congres would not withdraw from the United Progressive Alliance (UPA) government. "My party does not support this hike. This puts all the pressure on the people. 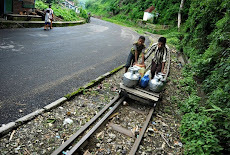 Government should reconsider the decision to increase the price of diesel, kerosene and LPG," she told reporters here. 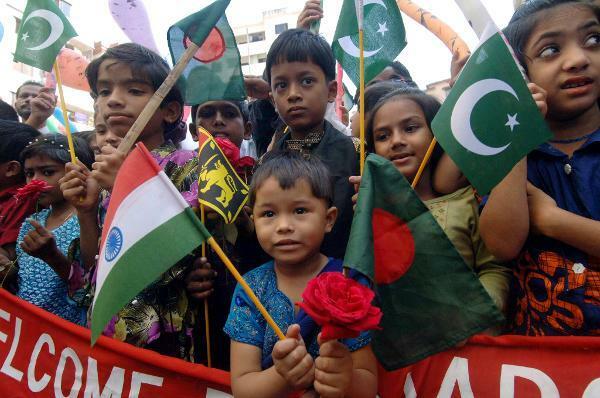 Dhaka, 25 June : Bangladesh government has announced higher allowance for 125,000 people who participated in the country’s freedom movement against Pakistan in 1971. The amount is being raised from Taka 1,500 ($21.50) to Taka 2,000 from 1 July, beginning of the next fiscal, State Minister for Liberation War Affairs Captain (retd) A.B. Tajul Islam told parliament Thursday. The state minister said the number of freedom fighters across the country is 125,000, including 5,338 who were injured, The Daily Star reported. 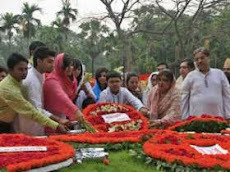 Families of martyred freedom fighters are 2,500 and women freedom fighters number 162. Midnapore, 25 June : Another person was arrested from West Midnapore district in connection with the Gyaneswari Express disaster based on the statement of key accused Bapi Mahto, currently in CBI custody. Abid Ali, a resident of Manikpara in Jhargram subdivision, was arrested from Kaliakunda last night, police said. Ali's link with Maoists was being ascertained, they said. He is the eighth person to be arrested for the 28 May disaster that claimed 148 lives. 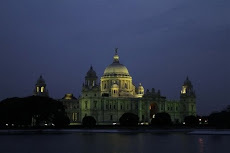 Kolkata, New Delhi, 25 June : West Bengal state government has submitted a Rs 266 crore plan for the development of West Midnapore district to the Planning Commission. 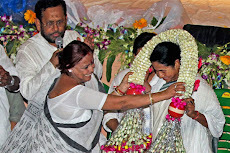 West Midnapore is one of the 34 districts in the country the Planning Commission identified as most ravaged by the Maoist menace. 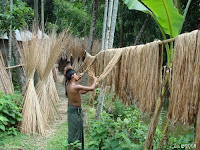 The Commission had asked respective state governments to plan schemes so it could sanction money for their development. 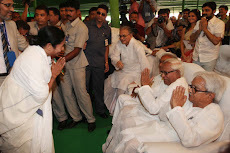 "We have made an elaborate plan which includes infrastructure building to improving the living condition of tribals. 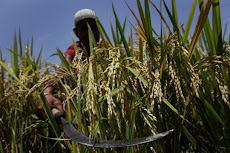 Today we sent the scheme to the Centre," said a senior official of the department.The Commission has asked the state government to see whether Central schemes like NREGS, Indira Awas Yojna and Pradhanmantri Gram Sarak Yojna and others are being implemented properly in these areas. Two months ago, during their meeting with prime minister Manmohan Singh and Planning commission Deputy Chairman Montek Singh Ahluwalia, chief minister Buddhadeb Bhattacharjee and Minister for commerce Nirupam Sen, demanded money separately for the development of LWE areas. 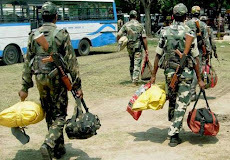 Agartala, 25 June : Ten more Bangladeshi-trained Tripura terrorists have surrendered to the Indian troopers after the security forces of that country continued their crackdown against militants from northeast India, officials said here. 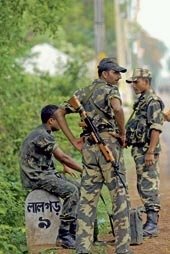 The 10 National Liberation Front of Tripura (NLFT) militants escaped from their camps in different places of Bangladesh and crossed over to India before they surrendered to the Border Security Force (BSF) and Assam Rifles troopers in different places of Tripura during the past 24-hours, a police spokesman said. 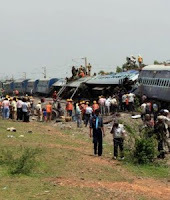 Howrah, 25 June : Passengers of the Howrah-Mumbai Duronto Express had a narrow escape today when its engine and generator van got separated from the rest of the train. 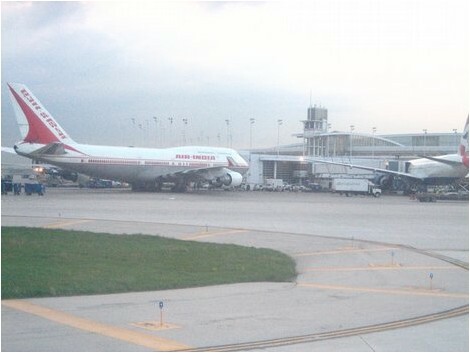 There was no report of any injury to any passenger. The central buffer coupling (CBC) that attaches the coaches and the engine along with the front generator van snapped about 37 minutes after the non-stop train started from Howrah for Mumbai, South Eastern Railway sources said. The coaches then travelled for a brief period before automatic brakes were applied and came to a halt at Uluberia station. PTI, Bankura, 25 June : The parents of a local CPI(M) leader were charred to death after his house was set on fire by suspected Maoists in Bankura district today, police said. 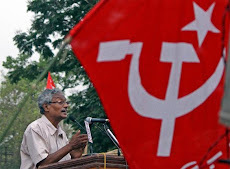 The incident happened at Bagdubi village when suspected Maoists set on fire the house of CPI(M) zonal committee member Nabin Hembram, police said. While Hembram managed to flee, his 85 year-old father and 65-year-old mother were charred to death, they said, adding that the house was completely gutted. 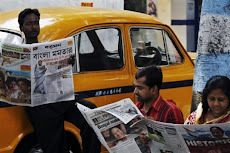 Dhaka, 25 June : Ittefaq, one of the oldest daily newspapers of Bangladesh, has started publishing from its new offices at Jatrabari's Kajla. The Bengali daily is set to hit the stands with its new printer's line with an address of Kajlar Paar, Demra Road, Dhaka-1205 from Friday. Distinguished for its voluminous classified section, the hugely successful daily will maintain commercial offices at 40 Karwan Bazar and another one in Motijheel. 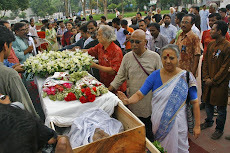 The newspaper had begun its journey from 1 Ramkrishna Mission Road but the two sons of founder Tofazzal Hossain, popularly known as Manik Miah, fell out over long standing dispute on 2 May. 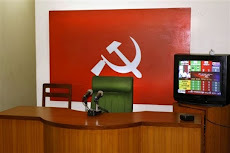 Jhargram, 25 June : Suspected Maoists have abducted the son of a CPI(M) leader in West Midnapore and demanded the release of a jailed Maoists in order to set him free. Srimanta Tudu, son of Matilal Tudu, was kidnapped by gunmen from a bus stop on Thursday night in Binpur, party and police sources said. Later, the Maoists telephoned the victim's residence and demanded the release of their "action squad member" Durga Mandi from police custody in return for the younger Tudu's safe release. Mandi was arrested for alleged involvement in several murder cases. UNB, Chittagong, 25 June : At least five people died and two were injured in a head-on collision between a microbus and a truck at Shitakunda's Magadpukur area, on the Dhaka-Chittagong highway. 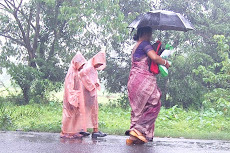 The deceased were identified as residents of Comilla's Nangalkot. The accident occurred at around 7am(BDST) on Friday as the passengers of the Comilla-bound microbus were returning home after receiving a relative from Chittagong airport. Kolkata, 25 June : A group of irate lawyers on Friday vandalised the Chief Justice's court room at the Calcutta High Court here protesting their forcible eviction by the police from a room in the court premises following a dispute over its allotment last night. "Some lawyers came in and vandalised the court room, breaking glass panes of the door and throwing around furniture," officials at Chief Justice Mohit Shah's court room said. 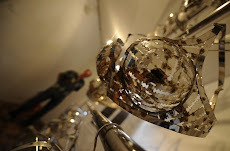 Refuting the allegations, senior counsel Subroto Mukhopadhyay said, "It was just a glass pane that had come off the hinges and not due to any application of force by anyone." 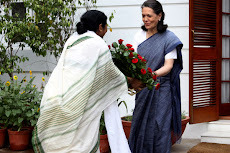 Sabyasachi Bandopadhyay, Kolkata, 24 June : Dispelling apprehensions about the future of an NSG hub in West Bengal, the Centre said on Wednesday the project is on course and the Ministry of Home Affairs would sanction money as soon as land is finalised for the hub. The rejection of the Dankuni site served as a cause of concern for state home department officials, particularly after the NSG rejected all the sites it had recced earlier. These included two plots at Panagarh in Burdwan district, one plot at Barackpore, and one at Kaikhali near Dum Dum airport. 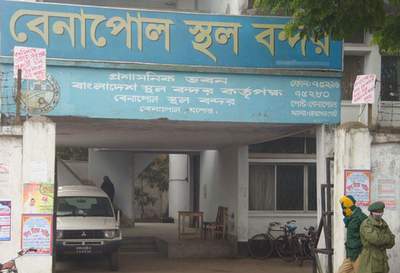 UNB, Dhaka, 24 June : A Dhaka court on Thursday rejected bail petitions filed by Amar Desh acting editor Mahmudur Rahman in three separate cases. 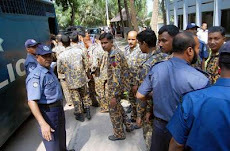 Three cases-a sedition case with Airport police station, a case under Anti-Terrorism Act with Uttra police station and another case for obstructing police in discharging duty with Tejgaon police station were filed against him. Judge (in charge)of Dhaka Metropolitan Sessions Judge Court, Md. Ismail Hossain, rejected the bail petitions after hearing from both sides. 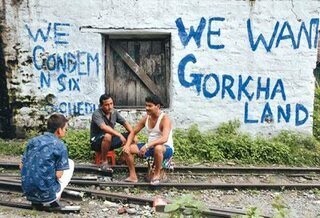 Darjeeling, Kolkata, 24 June : The pro-Gorkhaland Gorkha Janamukti Morcha (GJM) Thursday withdrew its indefinite shutdown call in the three hill subdivisions of Darjeeling district. 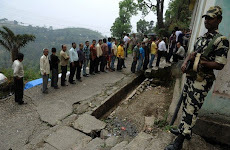 The GJM had called the shutdown from 19 June in protest against alleged police harassment of its frontal organisation, Gorkhaland Personnel (GLP), and a slew of other demands. It later relaxed the shutdown for 48-hours starting 23 June. GJM's press and publicity secretary Dr Harka Bahadur Chhetri told Bengal Newz, 'The decision was taken in today's central committee meeting of the party.' Dr Chhetri also said the Akhil Bharatiya Adivasi Vikas Parishad (ABAVP) had written to GJM president Bimal Gurung extending its support to the GJM for the cause of a separate state 'Gorkha Adivasi Pradesh'. 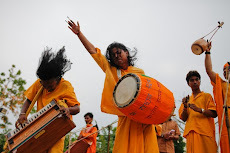 Kolkata, 24 June : A close associate of key accused Bapi Mahato in the 28 May derailment of the Gyaneshwari Express has been arrested from West Midnapore district. 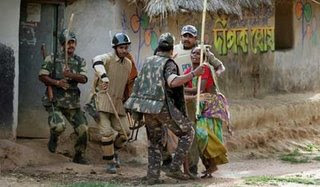 Amiya Mahato was arrested from Koimasoli village last night, Jhargram Superintendent of Police Praveen Tripathi said. 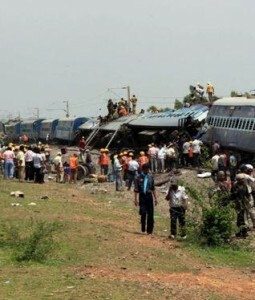 His role in the derailment that led to 148 deaths was yet to be ascertained. "We came to know that he is a close associate of Bapi, but we cannot say what his role was in the derailment right now," Tripathi said. 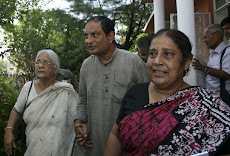 Amiya is the seventh person to be arrested in the case, which is being investigated by the CBI. PTI, Islamabad, 24 June : The South Asian Association for Regional Cooperation (SAARC) member nations have exchanged lists of banned groups during preparatory meetings ahead of the conference of interior ministers of the regional grouping in Islamabad on 26 June. The lists of banned groups were exchanged during a meeting of the SAARC Terrorist Offences Monitoring Desk in Islamabad yesterday, officials said. The SAARC countries also expressed their determination to root out terrorism through a joint mechanism. The list prepared by Pakistan comprised 21 proscribed groups. The SAARC countries also shared information on the working of banned organisations in their respective territories. UNB, Dhaka, 24 June : Bangladesh Prime Minister Sheikh Hasina on Thursday said the government will specially think about the job tenure and salary scale of the country’s researchers to ensure all out and continuous assistance for better success of research works in Bangladesh. “Until the final result of any research work comes out, my government will give all types of support and assistance to the researchers. 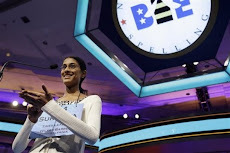 Research is not a routine task… researchers have no time limit, no money limit,” she said. The prime minister was talking to the researchers, led by scientist Dr Masudul Alam, who were involved in decoding Genome sequence of jute, when they met her at Ganobhaban Thursday morning. “We will take special measure so that researchers do not face any trouble due to limitation of job tenure and limited salary,” Hasina told the scientists. She, however, said researchers must have specific projects to enjoy such facilities. New Delhi, 24 June : The Indian rupee is all set to get its own unique symbol, joining the club of other international currencies, such as, dollar, poundsterling, euro and the yen as currencies with an identity that is recognisable worldwide. The Cabinet will decide on the matter on Thursday. A symbol reflecting the Hindi alphabet 'R' is likely to be approved. 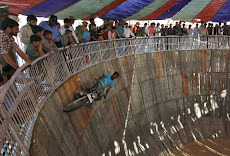 Five designs had been shortlisted by the government after an all-India contest. These signs are easy to write and are specially designed to appeal to Indian and international community. Which is your favourite design? Is the use of such a symbol important to reflect India’s growing dominance in the global economy? Share your views with us. 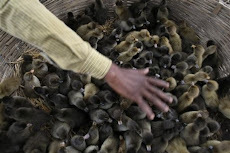 PTI, Kanchanpur (Tripura), 24 June : At least 14 children have died of Acquired Respiratory Infection (ARI), a kind of viral fever, in the tribal hamlet of Chhota Kangrai and its neighbouring villages in North Tripura district in the last 20 days, official sources said today. Sub-divisional Medical Officer Subrata Roy said 14 children died at Chhota Kangrai, Bara Kangrai, Paschim Kangrai and Dhananjoypara due to the fever but the situation was now under control. "Following receipt of information of deaths, we are organizing regular health camps in the areas and the patients are responding well to the medicines distributed by our medical teams," Roy told PTI. He said the health teams have examined more than hundred slides of blood samples and ascertained that the disease was ARI and not malaria. 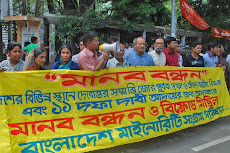 UNB, Benapole, 24 June : Export and import activities between Bangladesh and India through the Benapole land port remained suspended Thursday morning due to indefinite strike called by transport workers. 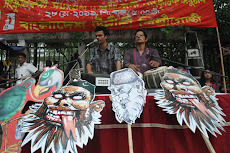 District Truck Sramik Samannoy Parishad enforced the strike from 9:00am(BDST) demanding the release of a Bangladeshi truck driver Rubel detained by Indian police on 19 June. 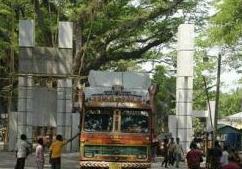 Local sources said Bangladeshi truck driver Rubel along with exported goods entered Indian Petrapole port on 14 June. The truck remained stranded at Indian truck terminal as Indian C&F Agent failed to submit necessary documents with Petrapol Customs Office timely for releasing the goods. 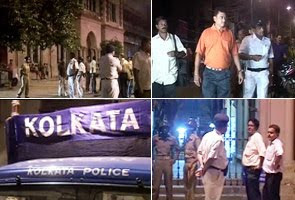 A team of Kolkata Customs Office on 19 June held Rubel from Petrapole port and later handed him over to police. 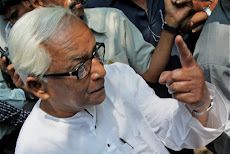 Bangladesh Truck Sramik Samannoy Parishad failed to secure the release of Rubel after holding several talks with Indian Customs officials and police. Malda, 24 June : A telephone exchange of BSNL has been destroyed by fire today at Bulbulchandi in Habibpur of Malda district, affecting the telephone service in the district. 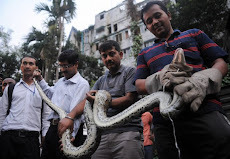 "Telephone exchange has been totally destroyed and the fire has been controlled," SP Malda Bhuban Chandra Mondal said. 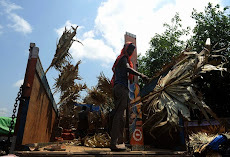 All phone lines in the area have gone dead and the incident affected the landline and mobile phone service in the district, BSNL officials said. The fire seems to have occurred from an electrical short-circuit early in the morning, Mondal said. The quantum of loss is yet to be assessed and it will take time to restore phone lines, officials said. 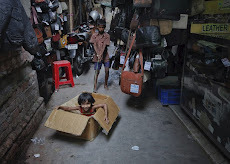 UNB, Dhaka, 24 June : Asian Development Bank (ADB) will provide US$ 500,000 technical assistance grant to Bangladesh for further improving teaching quality of secondary education in the country. The ADB signed an agreement to this effect with Bangladesh at a simple ceremony at the NEC in Sher-e-Bangla Nagar in the city on Thursday. ERD joint secretary Saifuddin Ahmed, deputy chief of Ministry of Education Md Ansar Ali, ADB country director Thevakumar Kandiah and Minister Counsellor at the Embassy of Japan Takanori Uehara were present at the signing ceremony. The Japan Special Fund will provide the technical assistance grants, to be administered by the ADB, as they are assisting Bangladesh to lay the groundwork for the Second Teaching Quality Improvement (TQI) in Secondary Education Project which is expected to begin in 2012. The first phase of the project, being carried out with ADB assistance since 2004, helped improve teacher training system, national policy, strengthen the capacity of teacher training agencies and establish an effective teacher management system.